IKEA has come out with a new campaign called “Entertaining” in the U.K. and Ireland. 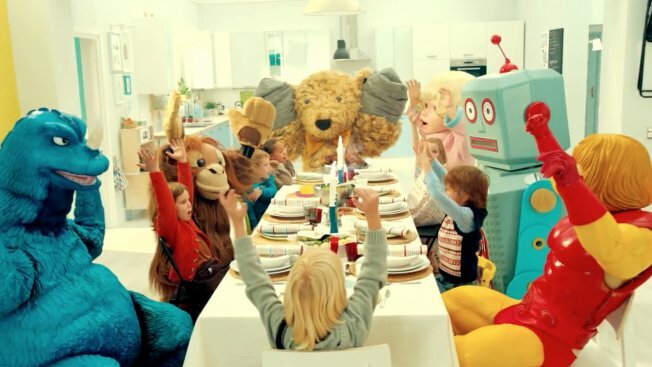 The spot “stars a group of kids and their wacky friends—an enormous stuffed bear, a giant toy robot, a life-size action figure, and others—preparing a dinner party in an IKEA kitchen while dancing to [a] goofy song” (AdWeek). Mother London, the agency behind the campaign, claims that the spot “explores the insight that adults and children all behave better when they're sat around the same table together, rather than the children being sat at the end of the table"(AdWeek). A very heart warming spot from our favorite company from Sweden. Now…if only they could make building their furniture a little less complicated!